Spend your Easter holidays on Skiathos Island, the birthplace of “the saint of Greek literature” Alexandre Papadiamantis where you’ll find a strong spiritual experience. There, locals observe the monastery rituals of Mount Athos and live the Passion Week in devoutness and deep contemplation. If you want to enjoy some other fascinating religious celebrations go for Easter on Corfu Island, where locals drop huge earthenware urns from their balconies in a grand display. Visitors to Patmos Island will also find a deeply spiritual atmosphere. The presence of the Monastery of St. John brings about an uninterrupted observance and practice of preserved Early Christian traditions like “The Washing of the Disciples’ Feet”, the Reenactment of the Deposition from the Cross in the Monastery of St. John. Chios Island is well known for its magnificent Easter festivities. On Holy Saturday night the villagers of Vrontádos are ready to set the night on fire with a rocket war. Easter is the beginning of the Summer season for Santorini. But the most significant is that Easter is a great Orthodox holiday for people in Santorini. 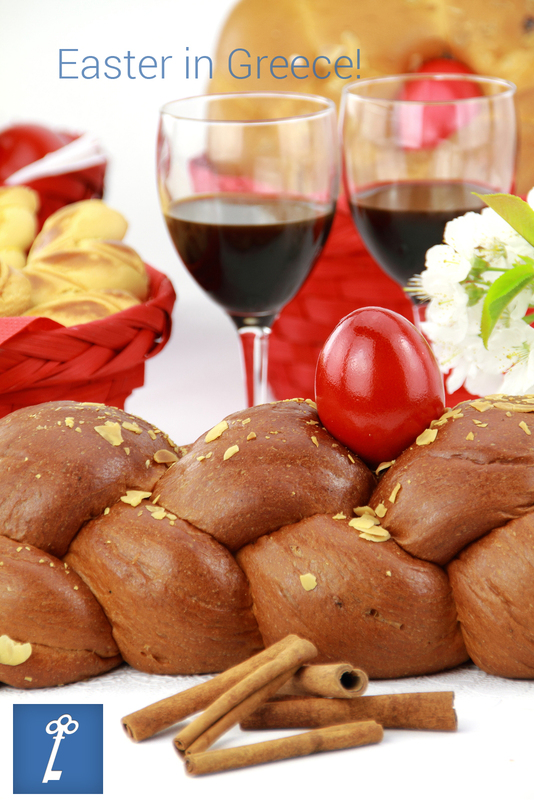 Many Easter customs have been preserved for many years. Throughout the whole of Greece on Easter Sunday - Kyriaki tou Pascha - families and friends meet up for the Easter Day celebrations, roasting lamb outside on a spit and a big party with food, wine, music and dancing all day long.